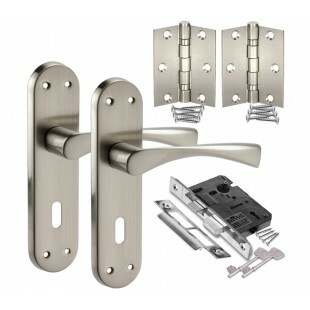 Modern and stylish, the satin chrome door handle pack with a pair of handles on lock backplate, door lock and door hinges is one of the best and most popular door handle packs for interior doors that need locking. 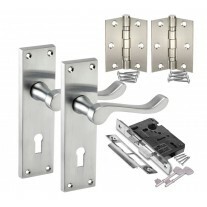 Complete with everything you need whether replacing old door furniture or fitting new locking doors within your home, the winger lever on radius lock backplate door handles included in this pack are an appealing and attractive design of handles that look great whether fitted in contemporary or traditional homes. 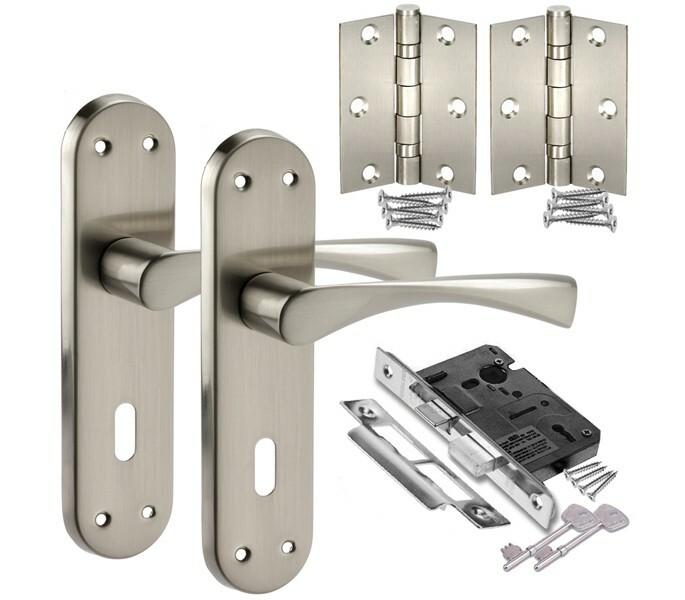 Competitively priced and fantastic quality the satin chrome door handle pack is one of the cheapest and best quality packs you shall find online. 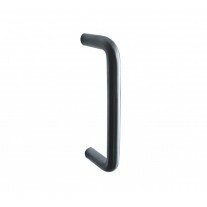 Satin chrome door handle packs include a pair of satin chrome winged lever door handles on radius backplate with standard keyhole opening, one for each side of the door. Includes fixings and microtight spindle. 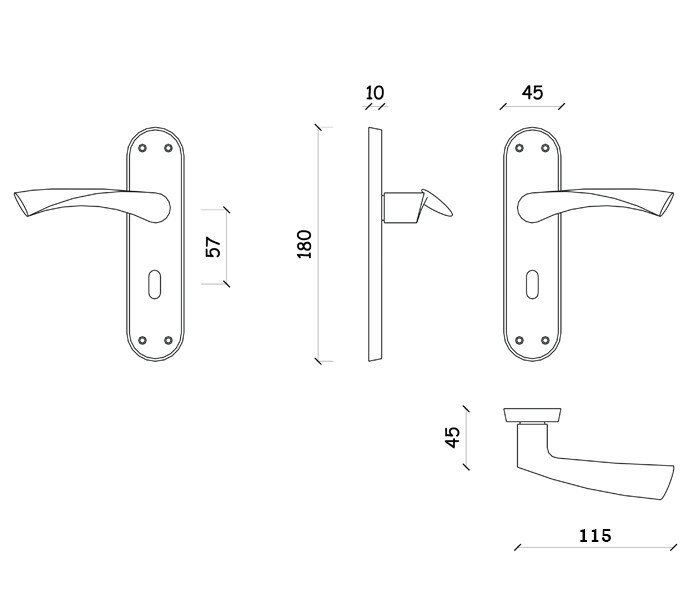 Overall length 115mm with 180mm x 45mm x 10mm backplate. Matching 3 lever mortice door lock with 8mm spindle hole (standard UK size), chrome finish forend plate, two keys and matching strike plate. Overall case size 76mm, 15mm case width, 57mm backset (distance from edge of the door to the centre of the spindle hole). Forend length 150mm, forend width 22mm. 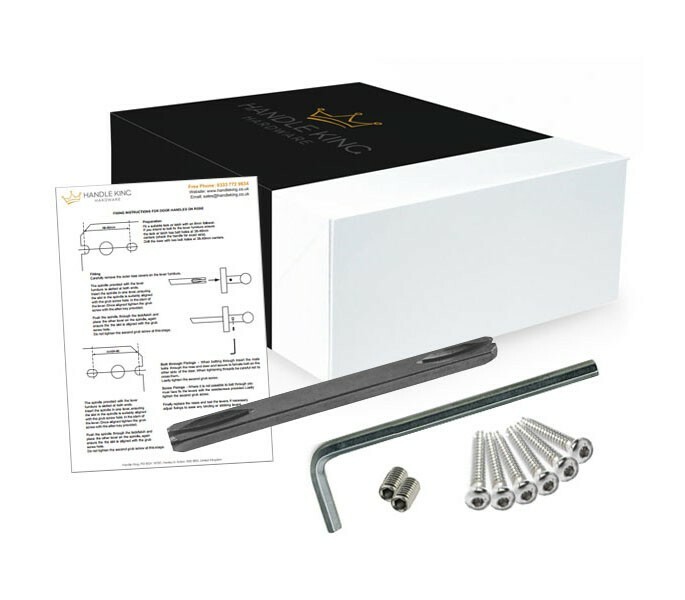 A pair of double ball bearing satin stainless steel door hinges with screw fixings to match the other items included in the pack. Length 75mm x 65mm. 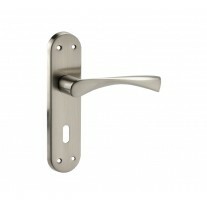 Just select how many satin chrome door handle packs with lock and hinges you need and add to cart.